As part of our Ingredient Spotlight series, we bring you our second entry, featuring 3 simple ways to make brussels sprouts. The first is our version of a brussel sprout “hash” and is a great starter recipe if you’re still feeling a bit apprehensive. The other two are classic cooking formulas – a blanch and saute and a roast – that will provide you with great side dishes to accompany just about any protein. Although this can be made as a side dish, we much prefer it for breakfast. Can you say bacon, eggs, and brussels sprouts? Yes, please. Heat a medium-sized non-stick pan over medium-high heat. Add oil and then bacon. Roasting vegetables is pretty low maintenance. It doesn’t require a lot of pots and pans but does take a bit longer than blanching and sauteing them, which we describe below. This is definitely the way to go if you have a bit more time for meal making though, as roasting them crisps ups the outer leaves making these sprouts even more delicious. For those who have not had a chance to read about one of our favorite cooking formulas the blanch and saute, check out that post here. This method is great for quick weeknight preparation of this hearty vegetable, which can otherwise take a long time to roast. We’re a big fan of the sweet / salty combo from the maple syrup and bacon. Homework: Help support our PR campaign by spreading the brussels sprout love. 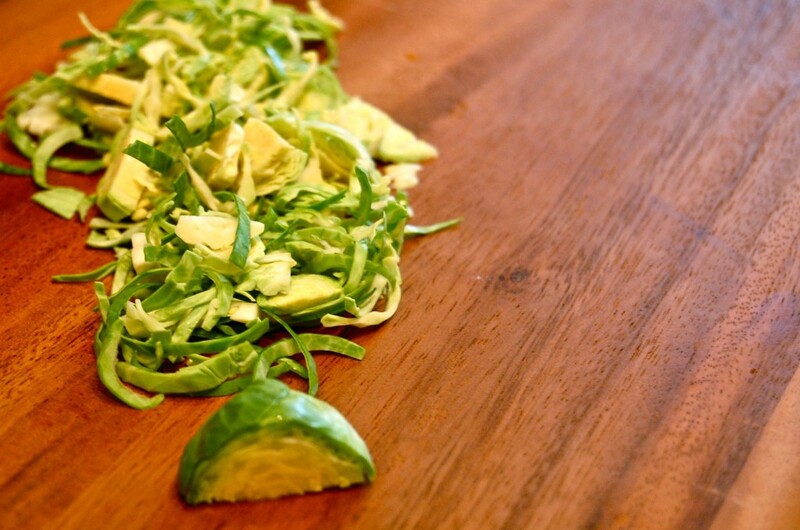 Make brussels sprouts one of the above ways and post a photo on our Facebook page.